Cut up banana in slices and strawberries in halves. Put in blender, together with blueberries, ice cubes, chia, hemp and flax seeds and peanut butter (optional: add a splash of your milk of choice if desiring a thinner consistency). Blend until smooth consistency is achieved. 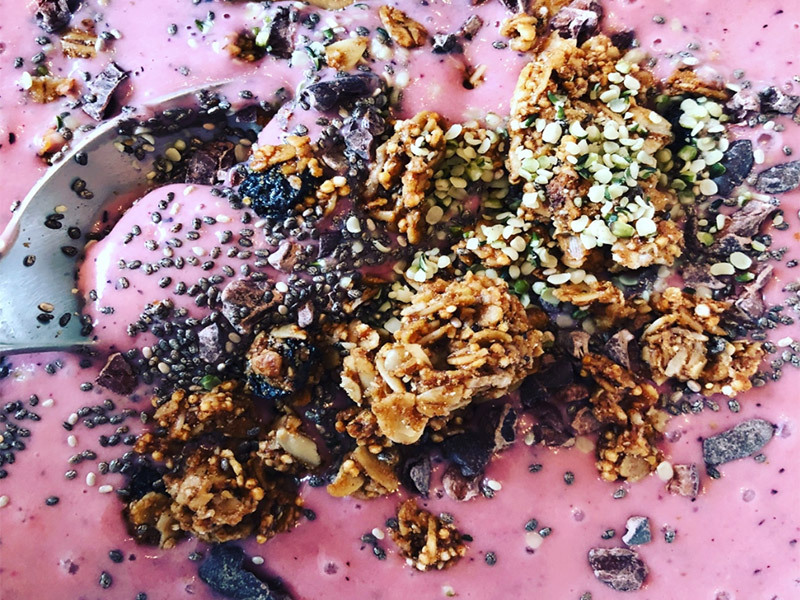 Put contents of the blended mix in a bowl. Add almond butter, gluten-free granola, cacao nibs (optional: sprinkle a little more chia and hemp seeds on top) and enjoy!